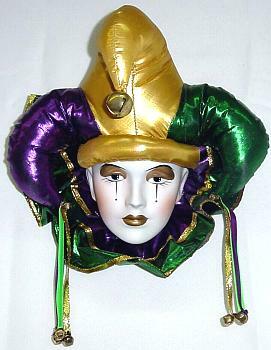 A wall mountable Mardi Gras jester. This is a white face (with gold lipstick and eyeshadow) wearing a purple, green & gold metallic fabric hat and collar. Decorated with ribbons and bells. Approximately 12" tall and 11" wide.